I don’t know about you, but after a night painting the town red I’ll usually wake up with a frightening hunger. I don’t deal with hungry very well, I can’t diet and I hate being told no when it comes to food. I can go from peckish to hangry in alarming speed so if you throw hungover in the mix it can get a little scary. After many years of dealing with my brattish cravings, I’ve learned to prepare for my mornings in advance. 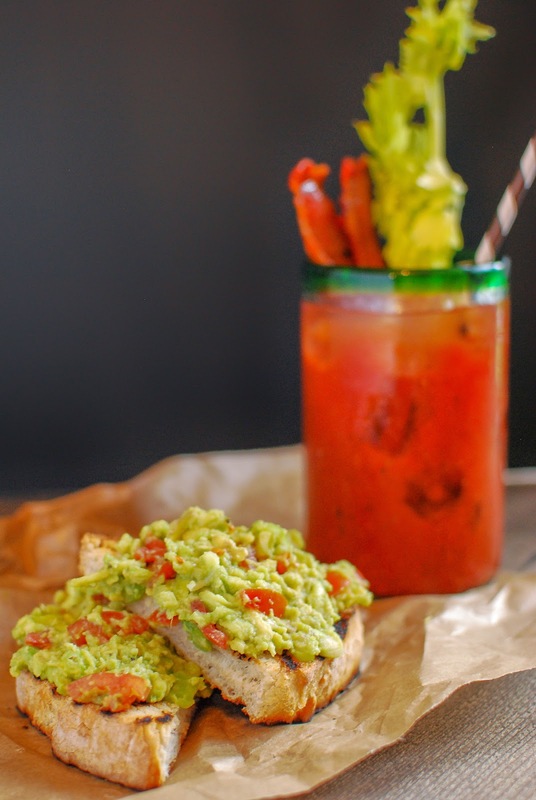 Bacon is always a good idea but for those mornings, and when you’re feeling particularly delicate the only way to go is with a Bloody Mary with Sriracha Bacon and Avocado Toast! Now I know avocado toast is a bit of a thing, and there are hundreds of variations floating around the internet, but I thought I’d share my favorite method with you lovely lot. It’s heavy on the garlic and chilli, not one for the fainthearted, this is for a pro avocado toaster! For the bacon: preheat your grill. Combine the sugar and sriracha to make a spreadable paste, you may need to add a little water. Pop the bacon on a baking sheet lined with foil and brush the sugar paste onto the bacon. Grill for around 5 minutes, remove from the oven and flip the bacon, repeat the process with the sugar and grill for another few minutes or until your bacon is perfectly crispy. Leave to cool while you create your Bloody Mary. 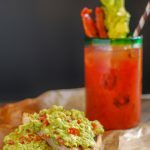 For the Bloody Mary: Mix all of the ingredients together in a jug, check the seasoning and heat and adjust is necessary. 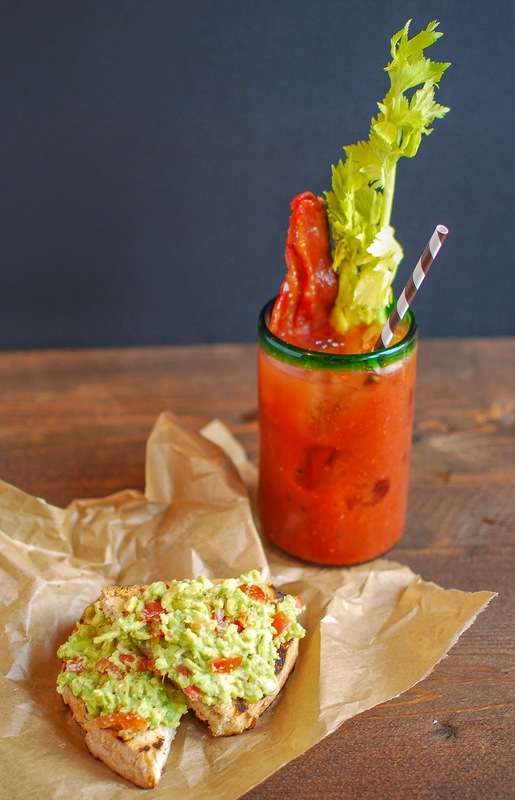 Pour into glasses filled with ice and garnish with a stick of celery and sriracha bacon. Toast your bread under a grill or on a griddle pan, once toasted and slightly cooled rub the top of the toast with a clove of garlic. Mash the avocado leaving a few lumps and chunks, mix in the chopped tomato, sliced spring onions, chilli flakes and seasoning. Spread on the toast and dig in. Next Post Afternoon Tea: How Do You Do! Oh I just love this! I think you need to branch out from cakes and open your own restaurant! !